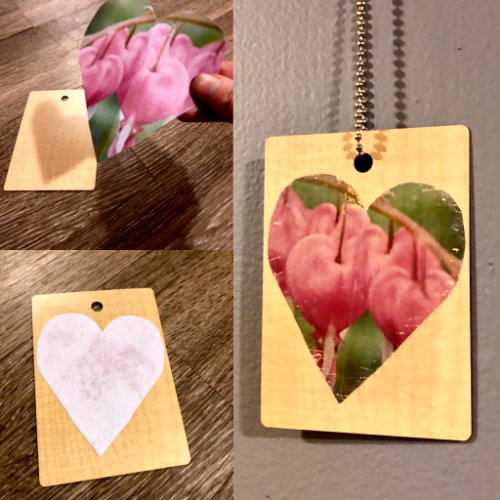 Just in time for Valentine's Day, learn a step-by-step technique to transfer your photographs onto wood, canvas, tile, vinyl, and more. This is not decoupage. The image doesn't just lay on the surface, it becomes a part of the piece revealing its texture. Denise will give you the hand's on skills to make a handmade gift with life, soul, and tells your story. Photo transferring brings your captivating and memorable images to life as keepsakes, home decor or even furniture. Denise is a photographer and repurpose artist who has spent years perfecting her photo transfer technique. She'll walk you through the materials, preparation, application, and finishing of a photo transfer piece in a workshop environment. By the end of the class, you'll have created a Valentine-theme gift to take home to enjoy.